Outnumbered Mom: A Day to Celebrate! 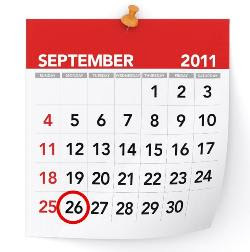 Wednesday September 21, 2011 Looking for something to celebrate? How about Family Day – a Day to Eat Dinner with Your Children? 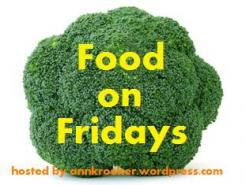 I'm linking up (a bit belatedly) with Ann Kroeker and Food on Fridays. This seems like a perfect post for a bunch of moms who love to gather their families around food! Family Day is coming up on Monday, September 26th, and I can’t stress its importance enough. Birthed by the National Center on Addiction and Substance Abuse, Family Day is all about family fellowship and communication—the kind that keeps doors open to communication and builds kids up. Statistics comparing drug abuse in kids who eat with family and those who don’t are sobering. When I search for a great family memory, I don’t have to go far for one that involves the dinner table. Oh, there were tense times and times where someone stormed off. But each of those experiences was a learning one, for us as parents and for the boys. So much is taught at the dinner table, and so much is reinforced there. My boys tell me some of their best memories are of our evening dinner together. There’s a family kit page where you can download everything from printables and ideas for Family Fairy Tales to a Family Coat of Arms. There’s a blank placemat for kids to color, e-vites to family dinner, word games, family fun challenges, and even recipes and menu planners. So, celebrate with me on Monday. Good, healthy food is wonderful, but being together is best. If you bring home a pizza or even make sandwiches together, it’ll prove to be a great family time. Start small, then plan and build up. Concentrate on being together. See you at the table on Monday! Do you plan to celebrate? Any ideas? How do you feel about family dinners? That sounds like a wonderful idea and blog to visit. Only if...sniff, sniff...my were not grown and so far away. We have so many September birthdays in my family that the only way to celebrate everyone is to just do a family dinner. So it all works out! I've seen the drug statistics you're referring to. It is, indeed, sobering.